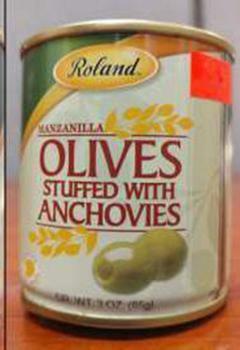 American Roland Food Corp. is recalling of one lot of Roland Manzanilla Olives Stuffed with Anchovies. An unspecified product quality issue may pose a potential health hazard to those who consume the product. For further information about the recall and for instructions on obtaining a replacement product, consumers may visit www.rolandfood.com or contact the company's consumer hotline at 1-800.221.4030 ext. 222, Monday – Friday, 9am-5pm (EST).